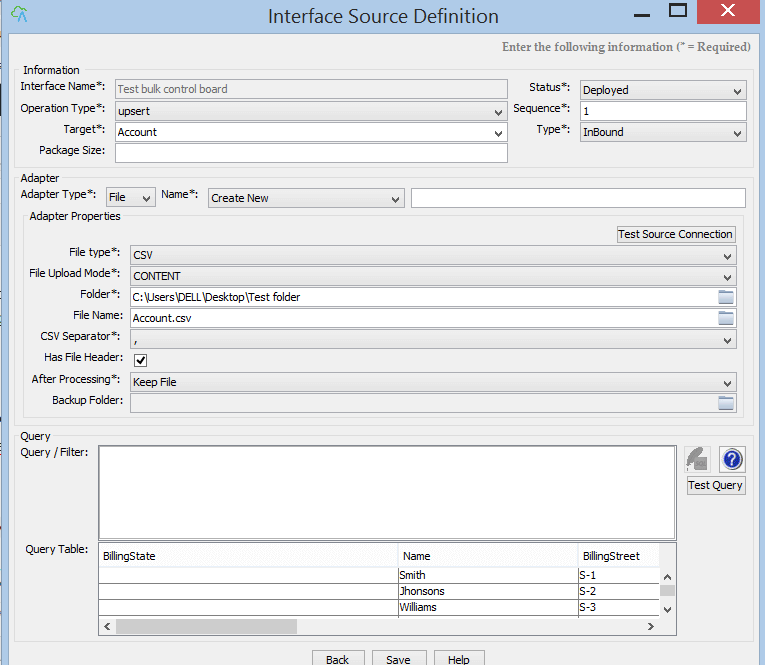 incoming data goes automatically to be processed as synchronous, batch or bulk. 1. What is bulk processing? 2. How to create bulk processing? 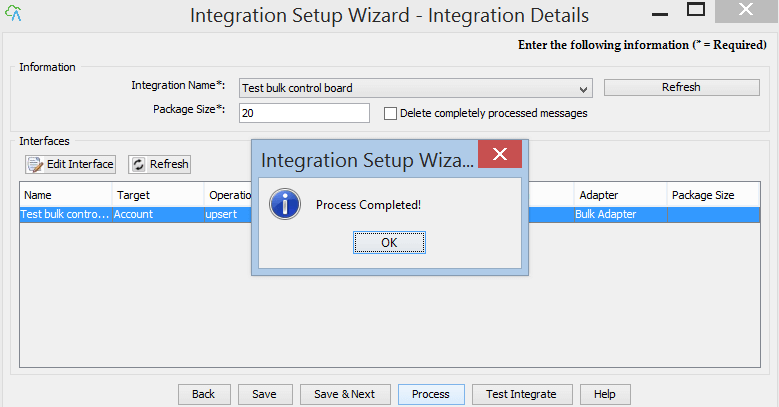 Before you can use Bulk processing, you have to create an integration, define inbound interface and mapping like you normally do. 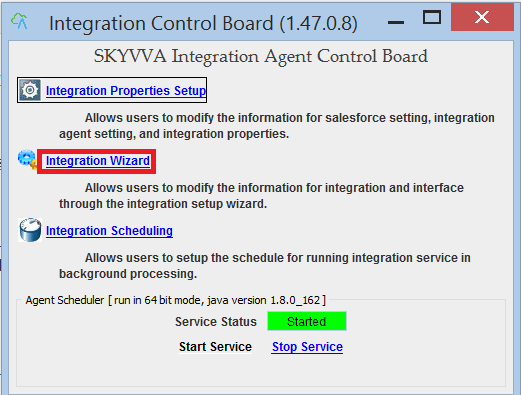 Please refer to other tutorial which explain you how to create integration and interface and how to develop mapping using SKYVVA graphical tool. Please click on Account Interface. As shown in screenshot below.